Performance – The performance of a pickup truck is different than the performance of a regular car, although important, it’s not all about speed and handling. 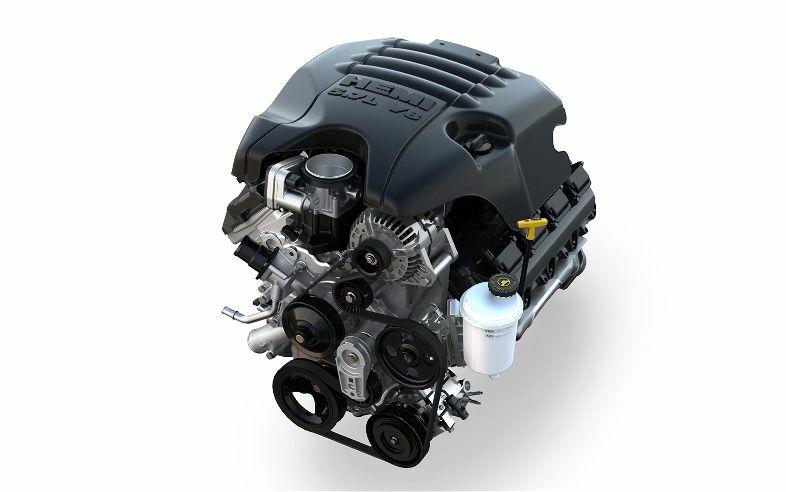 The 5.7L Hemi V8 engine produces 407 lb-ft of torque which is enough to tow 4750kg of random stuff. 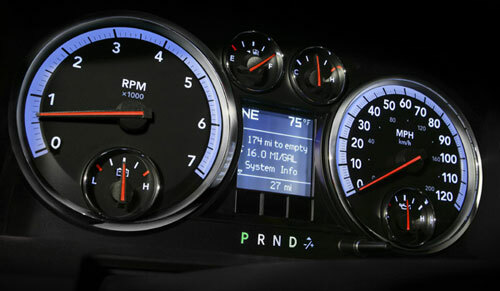 If you’re one of those people who never tows anything, the Ram has plenty of power to get you moving however it doesn’t feel particularly fast unless you look at the speedometer and realize that you’re in triple digit speeds in only a double digit speed zone. The biggest drawback of having such a massive engine is that the fuel economy is worse than poor. I drove it for 60km during stop-go rush hour traffic and I used up a nearly quarter of a tank in just one direction. 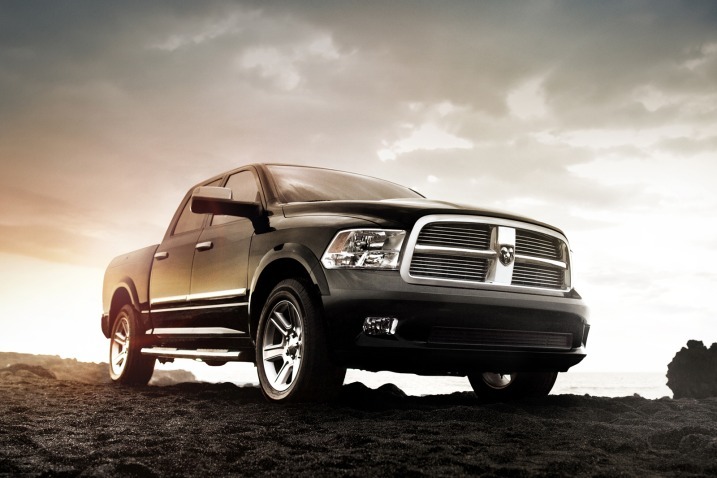 Comfort – I was fortunate enough to test drive the full size quad cab version of the Ram. The interior space is a joke, even Shaquille O’Neal would feel lost and small in the cabin. There is sooo much space that I felt like I was in a taller version of a limousine. The seats are very comfortable and the dash is nicely laid out but unfortunately it does feel like Dodge used cheap plastics. The best thing about this truck is the amount of comfort you get from the suspension. Although you’re in a truck, it actually feels like a full-size sedan. Going over pot holes on city streets fells like the truck isn’t even trying and it’s just asking for a rougher terrain. Overall, this is one of the most comfortable trucks, or actually vehicle, that I’ve been in. Odds and Ends – Since this is a full size truck, it does feel massive on city streets. I was constantly making sure that I was in the middle of my lane and when changing lanes that I wouldn’t inadvertently hit a car that I couldn’t see in my mirror or with a shoulder check. I have a 2012 Ram Laramie 4×4 1500 5.7 hemi and I want to know does the engine drop down from eight cylinders to four cylinders during highway driving?. It should if it has the Multi Displacement System (MDS). It’s similar to GM’s Cylinder Deactivation. It should shut down half of the cylinders during light throttle applications such as when cruising on a highway.